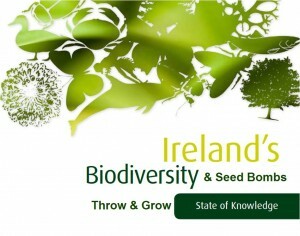 / How Native Irish Seed Bombs Benefit Our Bees? Ireland’s Bees love to feast on a wide range of native wildflower species which is why we have packed so many varieties into our special native Irish seed bomb recipe. Bees play a very important role in maintaining the balance of nature and have survived on the island of Ireland for over 100 million years. 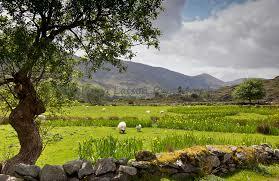 They help pollinate 80% of Ireland’s main food sources, making them of huge economic and ecological importance. It is now clear that improved pollination is a key factor when looking to raise agricultural productivity. This indicates that we must find better ways of improving how we care for our pollinators. 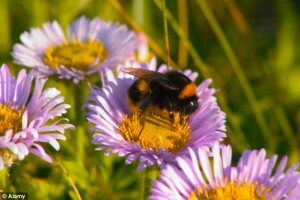 There are 97 bee species in Ireland, 20 are colony bee species and 81 are solitary bees. Unfortunately 50% are now threatened and in decline. Despite this serious situation there are currently no protection orders in place to help the plight of the bees in Ireland. 1. 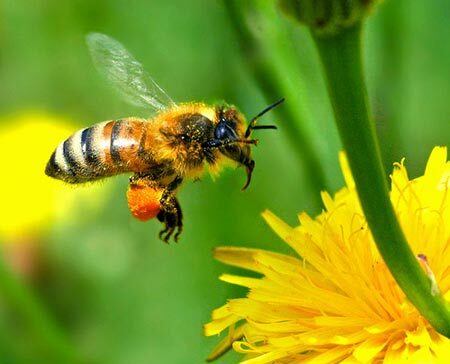 The disappearance of wild habitat due to agricultural farming methods such as monoculture where fields are planted with the same crop, this is a devastating sight for a bee that forages for food within a 4 mile radius of home. Hedgerows, wild meadows, and rural gardens are important habitat for bees and other pollinating insects. If these areas had pockets of native Irish wildflower forage then we would see an improvement on bee and pollinator species in Ireland. 2. The arrival of the varroa mite to Ireland in the 1990’s from Asia has had a devastating effect on bee health across the island. Hundreds of thousands of honey bees have suffered as a result of varroa mite infestations. Beekeepers have battled for many years trying to kill off these parasitic pests with various chemical solutions to the point that many bee colonies are failing to return to the hive, resulting in colony collapse disorder – known as CCD. Wild flower herbal forage gives bees and pollinators a better chance of survival. Herbal forage especially thyme, lemon balm and mints are natural repellents and the varroa mite’s pores become blocked and fall off the bees once they have visited these plants. 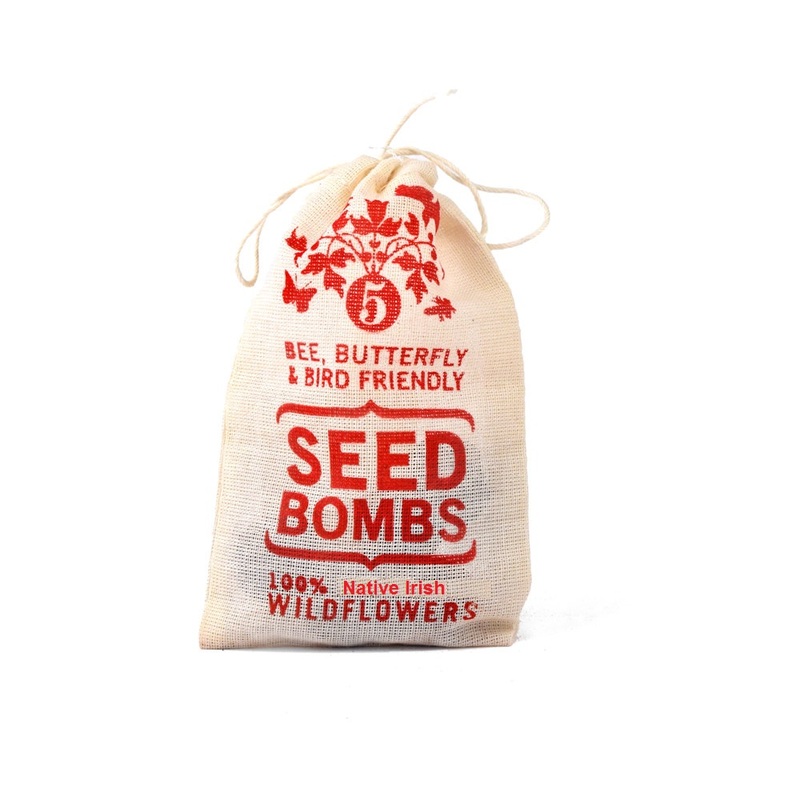 Companion planting with herbals and native Irish wildflowers together in a throw and grow seed bomb give bees the best possible chance of survival. Bees carry pollen back to their homes and feed it to their bee larvae and baby bees have a better start in life. The blood sucking varroa mites die off due to the potent compounds of wild flower pollen and the bee larvae can grow into healthy adult bees. 3. Wide use of pesticides and chemical treatments are another major factor, poisoning land with pesticides is an invasive action upon bee and pollinator homelands. 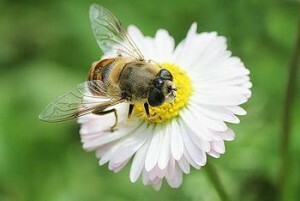 The pesticides not only kill off the so-called pests but also harm and kill vital pollinating species too. There are so many declining species that need our support and a key way to help is to avoid all chemical treatments as we are now aware of the damage they cause to native Irish wildlife and waterways. 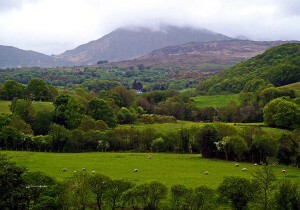 The loss of biodiversity in Ireland as a result of pesticide spraying created an imbalance in nature. By restoring biodiversity to our local environments we will begin to see the balance return. 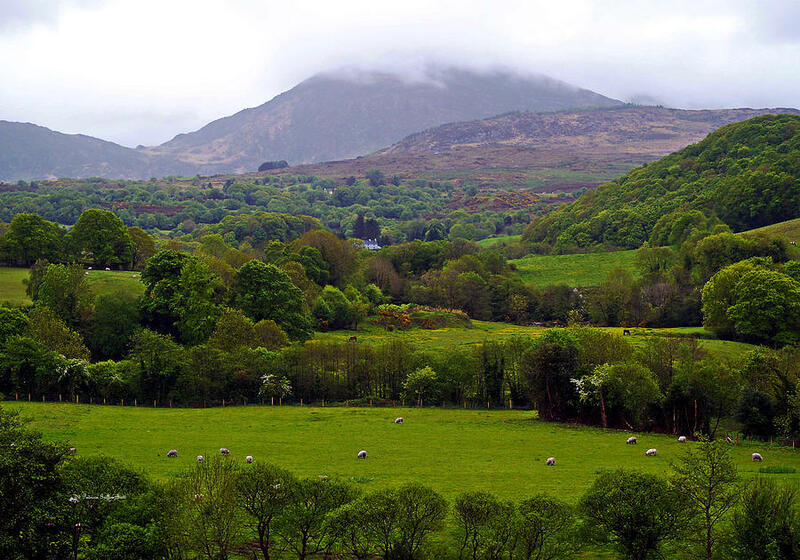 Native birds of Ireland can once again feast upon the so called pests and we will see their numbers thrive along with bees and other threatened pollinator species. 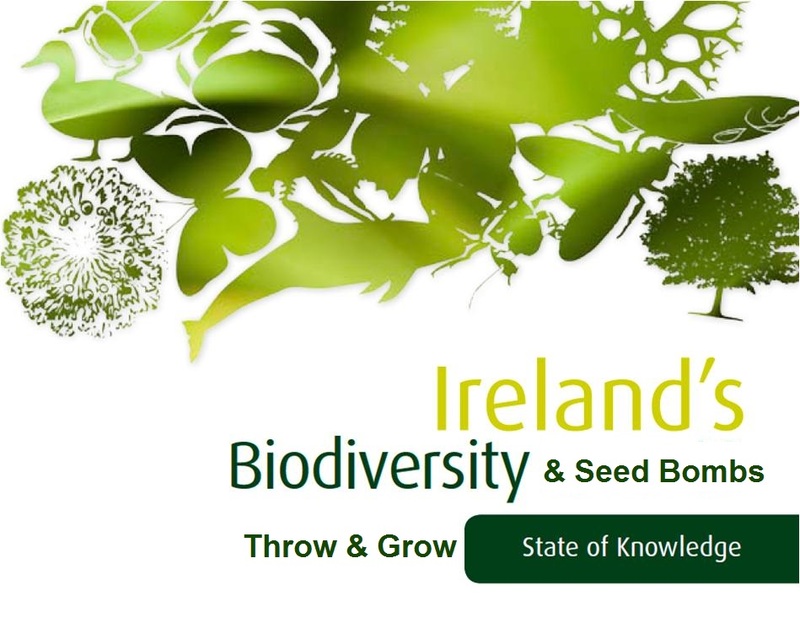 Throw and grow native Irish seed bombs help in the biodiversity restoration process across Ireland by providing the valuable nectar and pollen needed by many species for the balance of nature to thrive and flourish. People living in the UK, France and Ireland have been working hard to create road networks for bees, by sowing native wildflower seeds on roadside verges to replace the natural habitat for bees and other pollinators. Whilst this food for forage is what the bees need, the location is not ideal as Bees dislike vibration and would much prefer to stay in peaceful rural areas instead of busy roadside locations. Imagine how hard it must be to hang onto a flower when traffic is zooming past at high speeds. It would be like us trying to have lunch sat beside a busy Dublin airport! Also roadside soil is highly acidic due to automotive exhaust fumes so it isn’t a healthy wildlife environment full stop. Farmers in Ireland are now being encouraged to plant a half acre strip of native Irish wildflowers on their farmland to help feed the bees and pollinators which will hopefully stop the decline and 2015 should see a healthy increase in bee and pollinator numbers as a result. We can all help too by growing some native wildflowers in our own home areas, communities and rural landscapes. Native woodlands, hedgerows, stone walls, abandoned ruins, golf courses, unused railway lines, are all great spots to sow native wildflowers and offer bees protection and nesting opportunities too. Bees use their strong colour vision to help them find flowers and the nectar and pollen they offer. Blue, purple, violet, white, and yellow are all particularly attractive to bees as their vision picks these colours out easily. Our special blend of throw and grow native Irish seed bombs are fully loaded with these colours intentionally so the bees can find them easily. Lemon Balm, Mint & Thyme all have repellent qualities to many harmful insects and also give the bees extra nectar and medicinal protection that they bring home to their families. These 3 herbals give protection when planted throughout the garden and help to keep pests down in a more natural, holistic way.